Congrats to Joel on making it to a year with the Loot Locker. I think its safe to say that the whole community was pulling for the Loot Locker to be a success and it looks like it is. I wanted to help him celebrate so I bought a Loot Locker for myself. Being that basketball is the main sport that I collect collectively I bought a basketball locker. 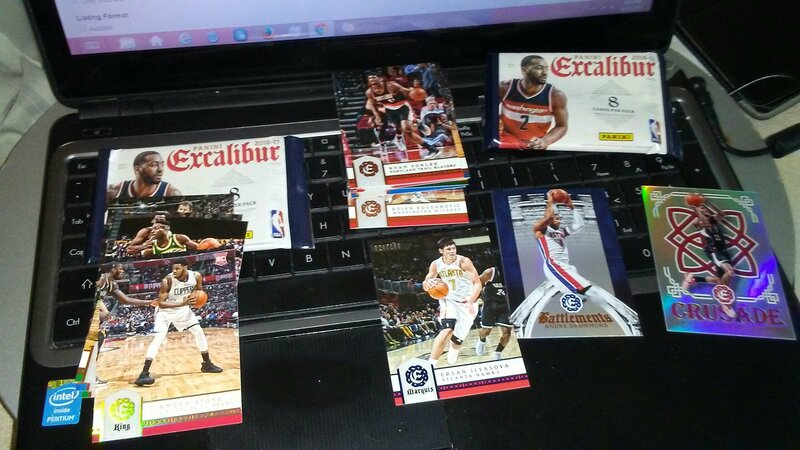 In it was a pack of Excalibur, Aficionado, and Totally Certified; all from 2016-17 season. I am pretty sure the second Excalibur pack was a bonus. The Aficionado pack was very thick. I thought that I was going to hit a patch. I didn’t get any hits per se. I did get a bunch of parallel cards and two spacers. The Diamond Stone rookie is numbered to 10. He’s at the stage in his career where he is probably a D-League player but he is only 20 years old so he can still turn into something. I had Ebay credit burning a hole in my pocket and it caused me to make an irrational decision on Ebay. Nevermind, let’s say I did it for the sake of the site. I can say that I bought it to test blasters on Ebay from a seller who isn’t a reputable dealer. 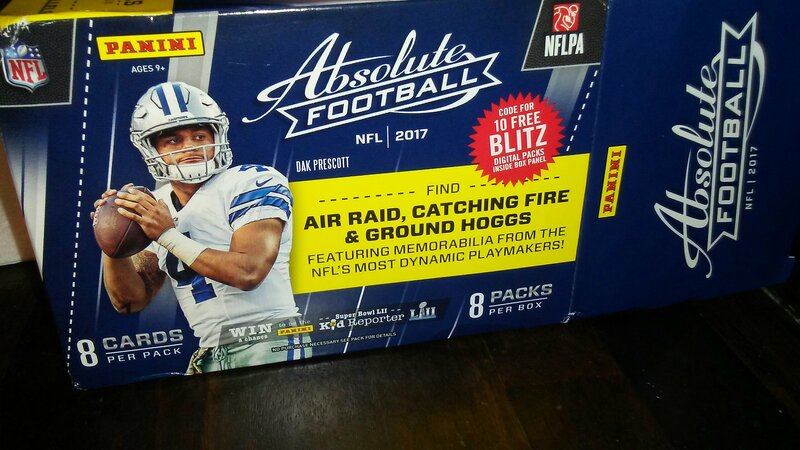 Truthfully between wanting a box with this great NFL rookie class, the look of Absolute base cards, wanting the Blitz pack code, and the price falling into my lap, I took the chance. I paid about $12 with free shipping. Let’s get this out of the way, blasters of Absolute have been less than stellar. It feels like they took a set for hit chasers and made it one for set chasers. 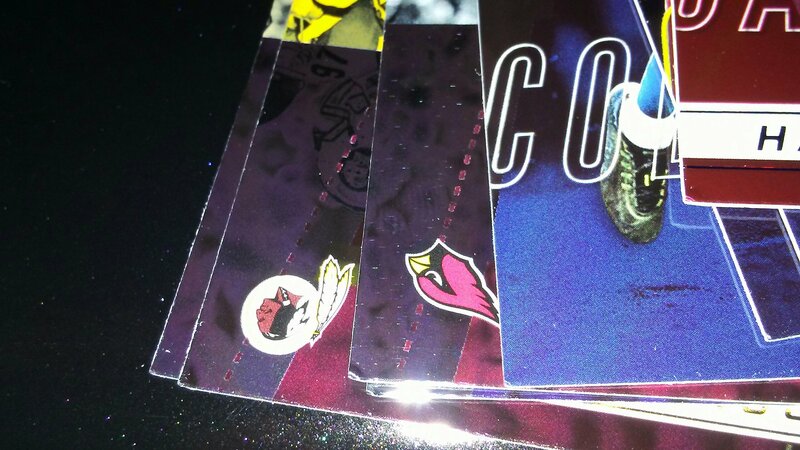 If I would have realized this, I would’ve collected Absolute instead of Contenders; especially because Absolute base cards are beautiful this year. I don’t care if McCaffrey busts, I will be stocking up on his rookies, and every Panthers rookie, because the cards are beautiful. I don’t know how you feel but when I see my favorite teams colors, I get a little excitement in my heart – Panthers, Dodgers, and the occasional Grizzly do it for me; I have opened enough basketball so I should know that feeling. 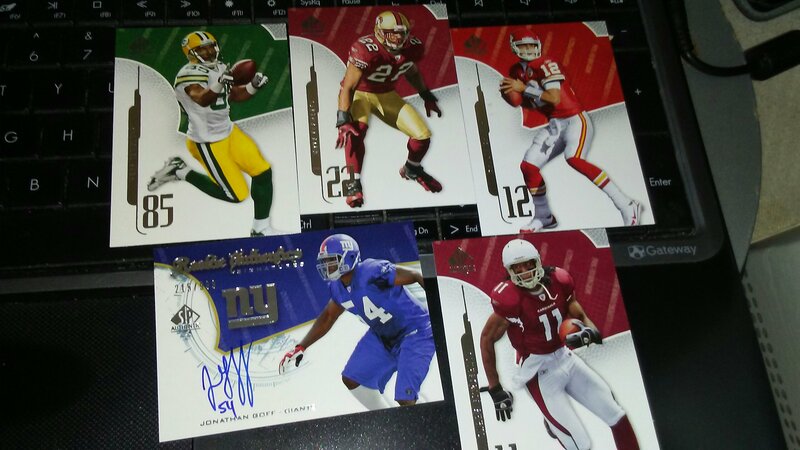 I have seen people buy multiple blasters and go hitless. At $12 it was worth the price of one of blaster boxes from 10 years ago when they had blasters at this price point. Unfortunately the free shipping cost me. The seller showed little packaging care and sent it just covered with brown paper. That Blitz code was nothing special either. 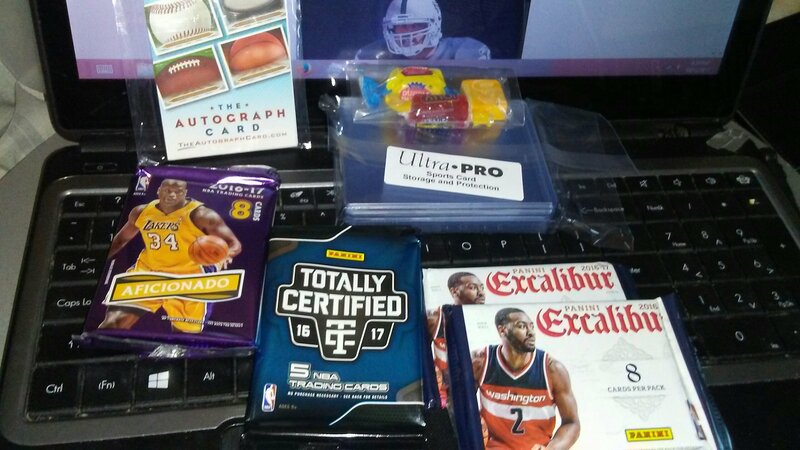 I thought that I would have to pull a card inserted in packs but the code was written on every pack – my heart wants to share the code but my head says not to do that to Panini. 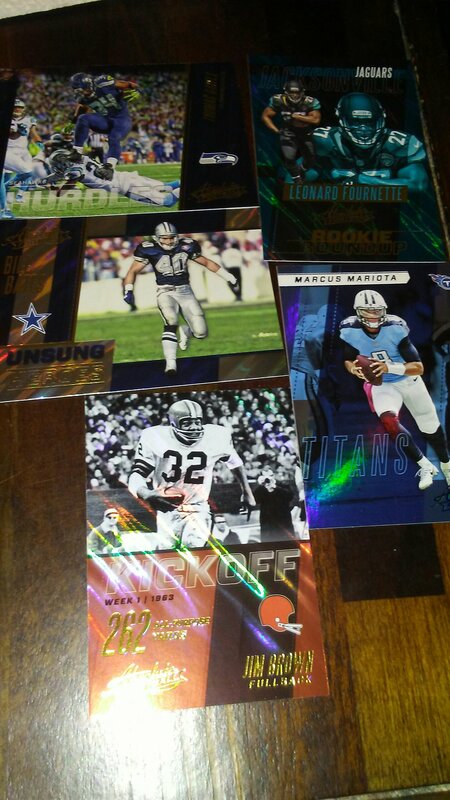 One pack was extremely damaged. 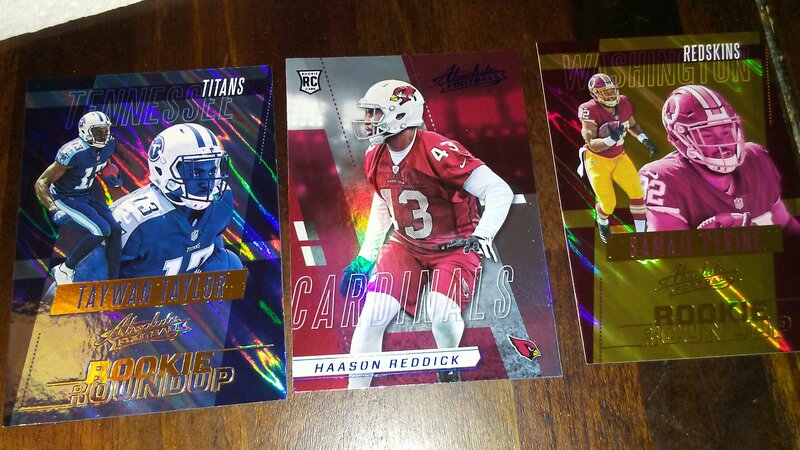 Unfortunately it also included a rookie parallel in the top 15. Here is what I don’t get though. 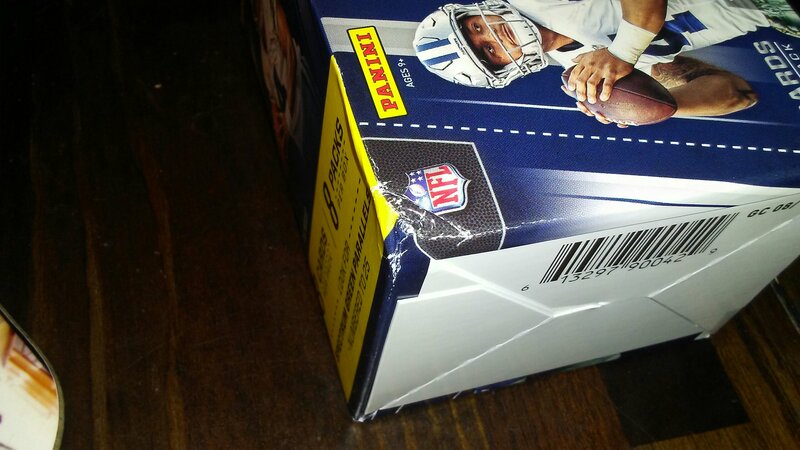 How can one pack be damaged and not the others? 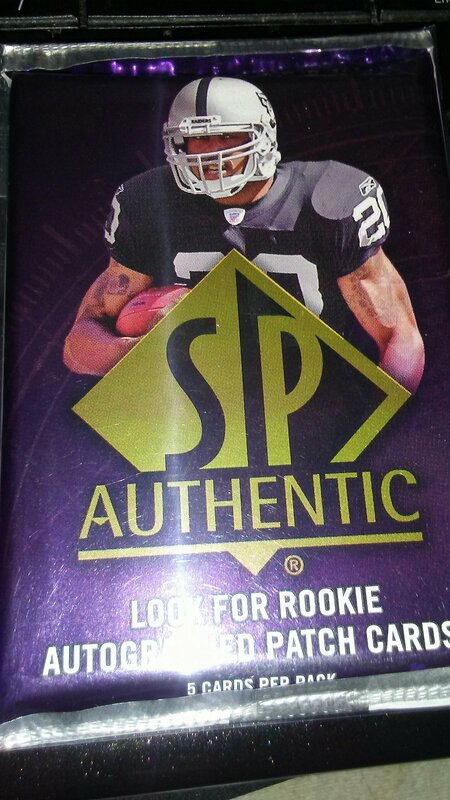 I wonder if it was via pack searching on the seller’s part. The bottom corner is dinged severely and there is fraying in an L shape in that whole said bad corner. I will be more than happy to share the name of the seller via messaging. I left him positive feedback with a scathing comment on the packaging. Hey I got what I paid for and he didn’t offer to refund even a little bit of money. I made the mistake so you don’t have too. 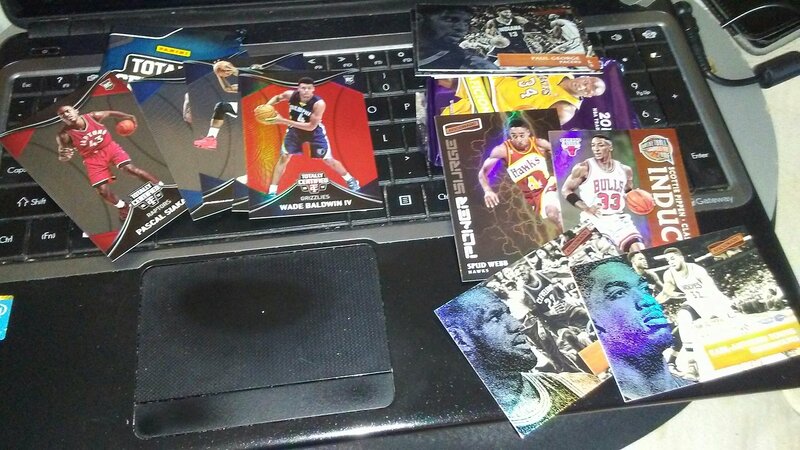 Don’t buy blasters on eBay unless it is with a reputable dealer, not an average Joe.